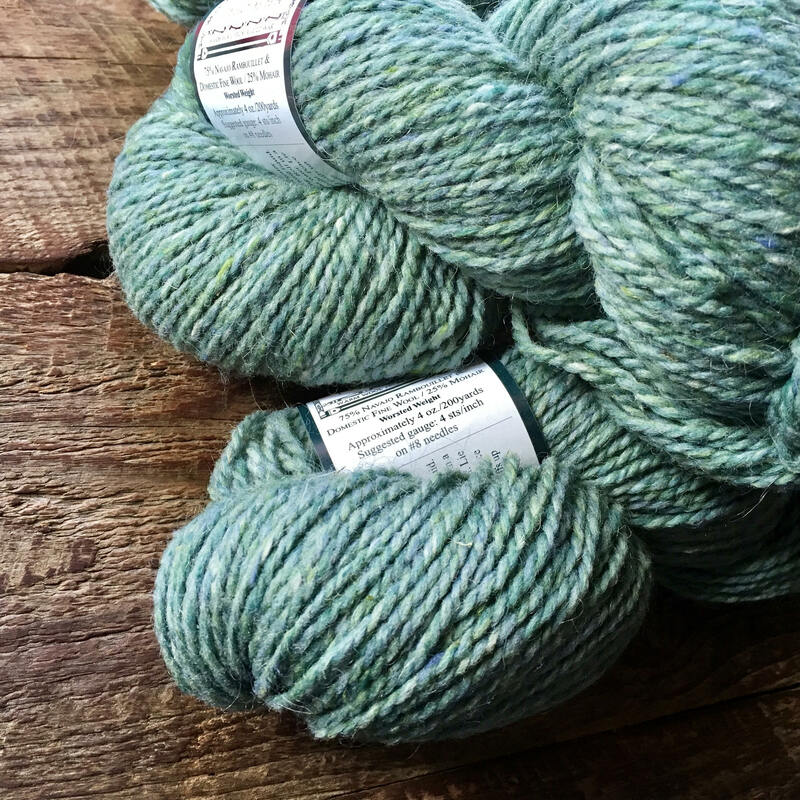 Kamchatka is a refreshing aqua yarn that reminds you of that beautiful cool, blue-green shade that murmurs of that ever-elusive afternoon by the shore. The aqua is the perfect shade to remind us to take a few minutes out of our busy schedule to unwind. 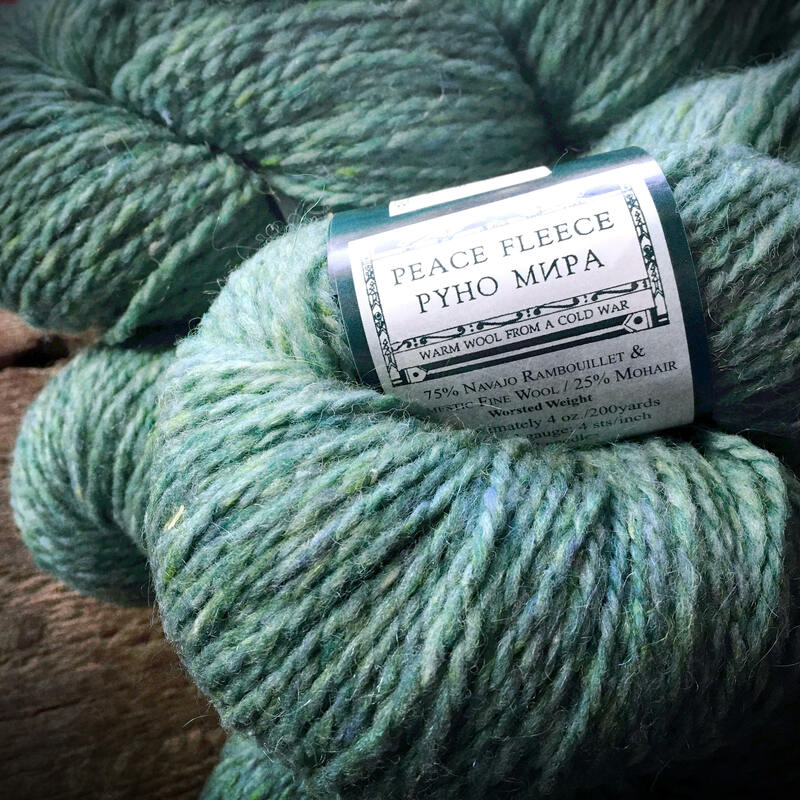 Peace Fleece is a good, sturdy working yarn that is snuggly, perfect for sweaters and vests. It will surprise you after you wash your project. 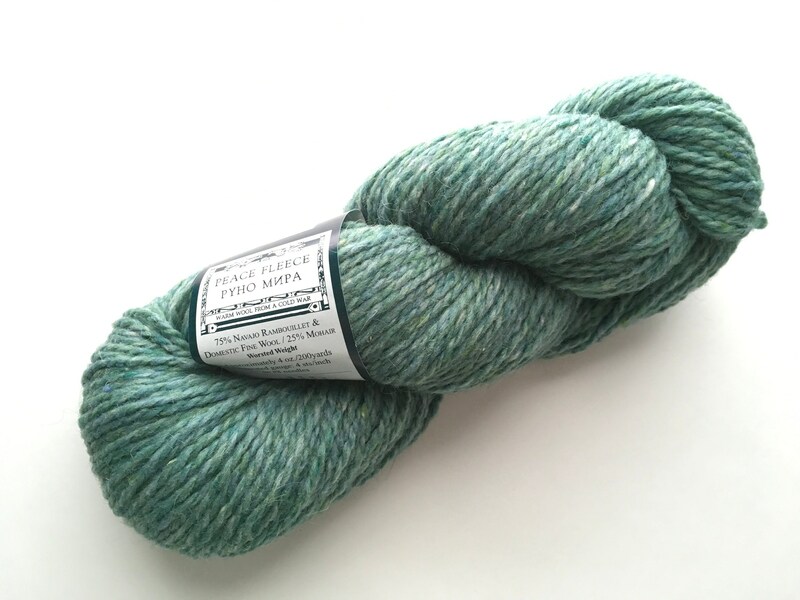 This yarn feels stiff while knitting, but relaxes the more it is washed & worn, quickly becoming a favorite! 2-ply. Approx. 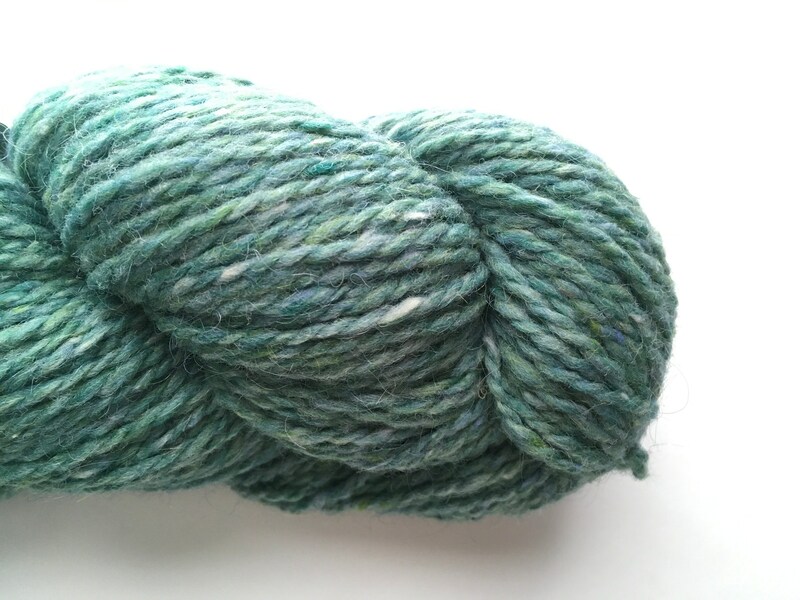 200 yds/4oz skein. **Complies with CPSIA requirements so you can make your children & baby items with confidence. 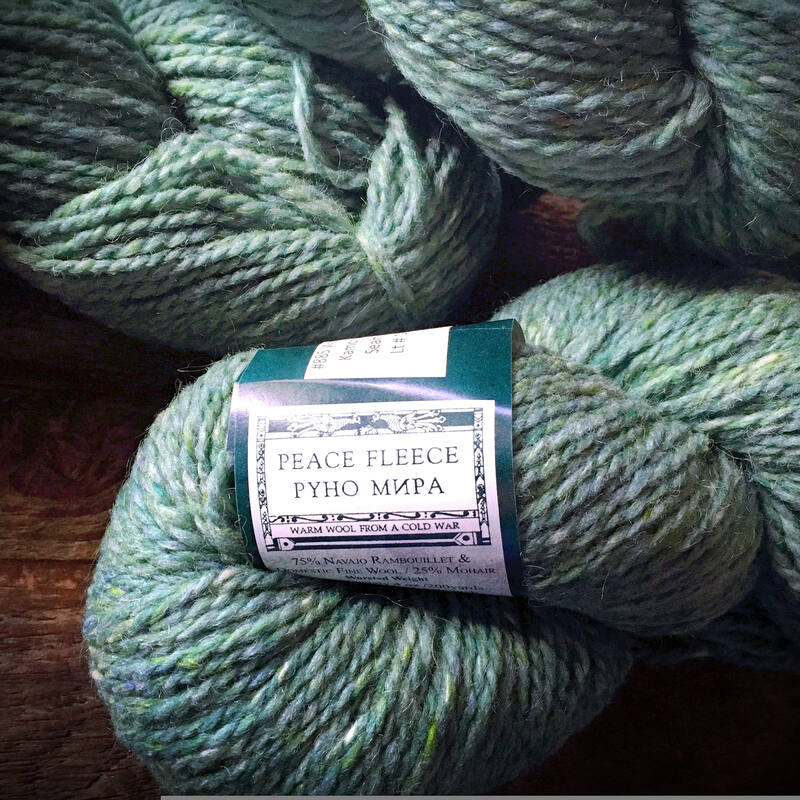 **Peace Fleece does contain vegetable matter. They have chosen not to use the "carbonizing" process where the wool is dipped into sulphuric acid to remove bits of dried grass. 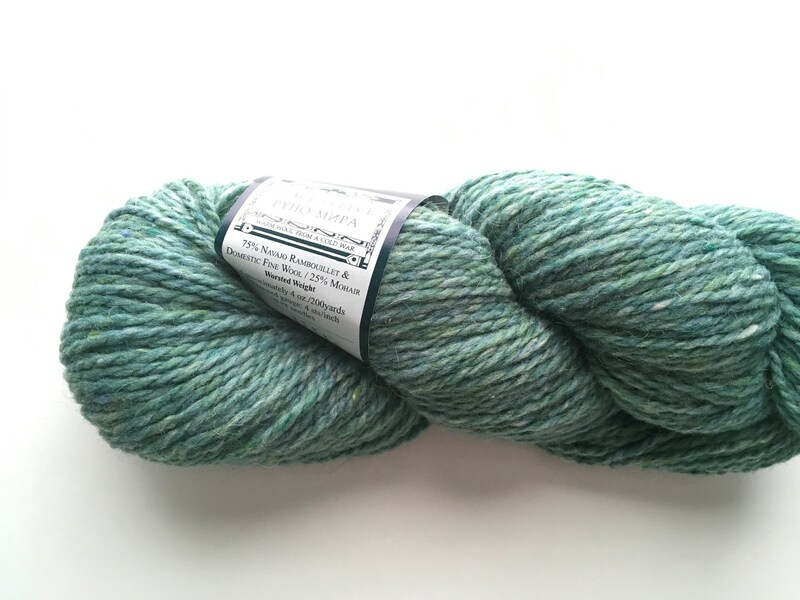 Thus their yarn is free from this chemical. 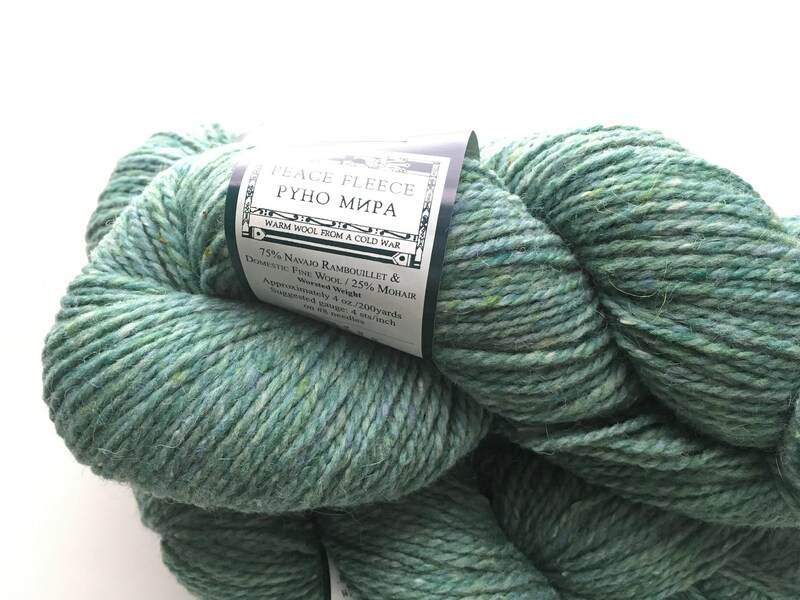 The minimal amount vegetable matter that remains after the final spinning process and you can remove as you work, reminding you that this yarn is an end product given to us by real sheep. 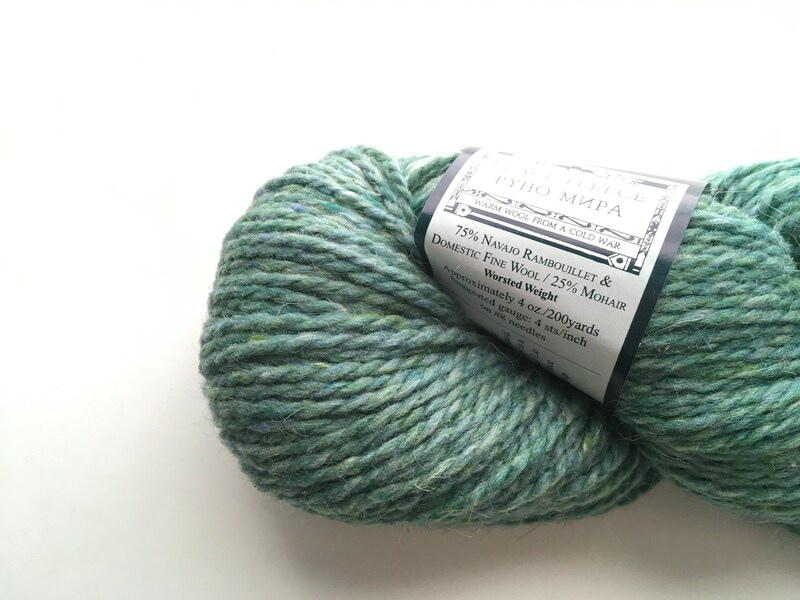 Fast shipping, very nice yarn! Thanks! 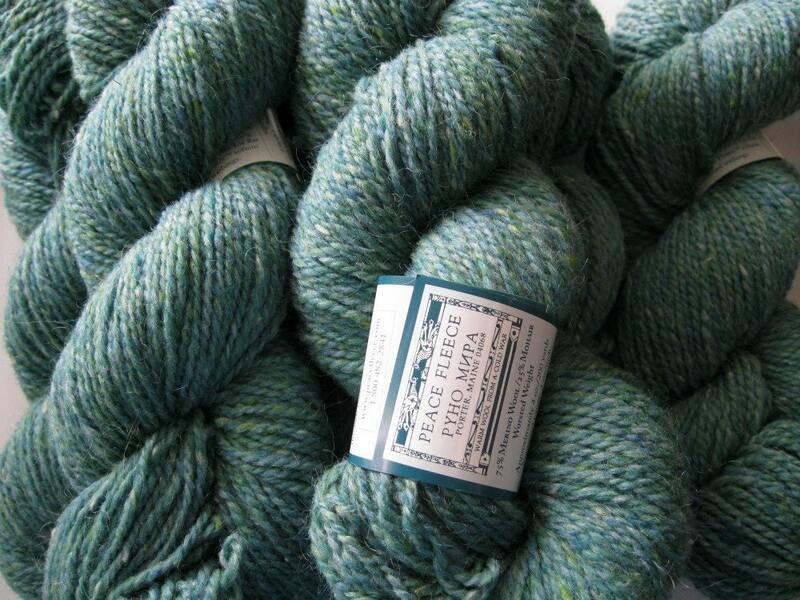 Beautiful wool and a pleasure to deal with! 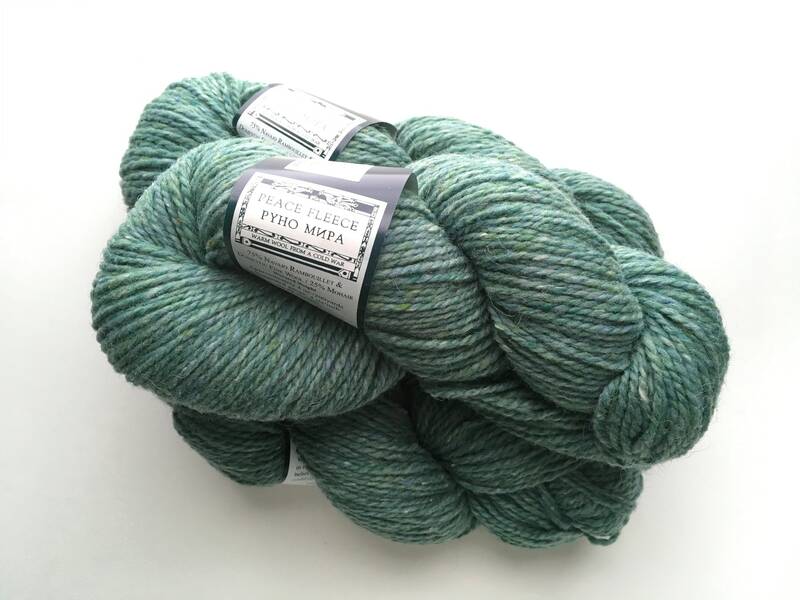 Received the yarn quickly & it is lovely . The owner had emailed me to make sure I liked the color because she was not sure the original picture showed the tones of green . I thought that was going above & beyond & I look forward to doing business with Kelly again ! Very happy with my purchases.